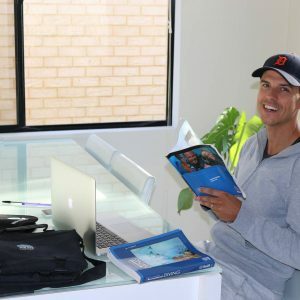 Our refresher course is managed on small groups (2 to 6 people) for more attention and safety. 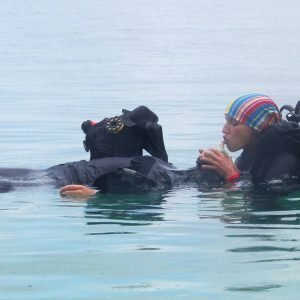 This course is for certified divers who have not dived for 6 months or more and need a quick scuba refresher before getting back into diving. It’s quick and easy, and a good way to prepare for your next PADI course or get ready for a diving vacation. You will get a reminder on the theory, setting up your equipment, as well as practising safety and buoyancy related skills in order to get ready for your dive(s). There is lots of soft coral and algaes where our favourite animal likes to hide: The sea horse. It is also very common to see octopus, lion fish, sea stars, sea urchins, nudi branchs, small rays, crabs, cray fish, prawns, schools of fish like herrings or yellow tails, butterfly fish, cuttle fish. 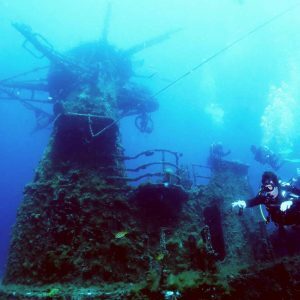 Occasionally and depending on the dive site, we encounter dolphin, sea lion, turtle, squid, bull stingray, trevally, wrecks of small boats or planes. You will first be given a video to watch as a theory reminder. 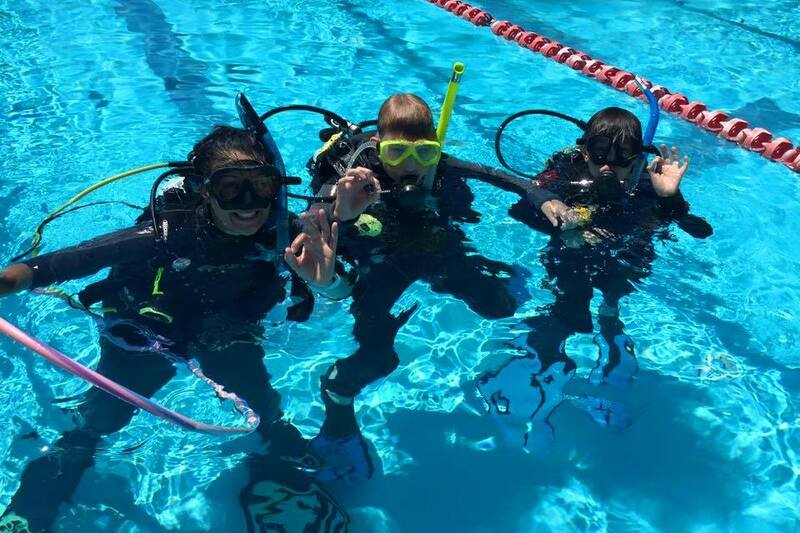 Then you will jump into a swimming pool to practice safety and buoyancy skills, such as mask remove and replace, emergency weights drop, or Alternate air source ascent. Once you feel ready your Instructor will take you for a dive or 2 (depends of the chosen option). 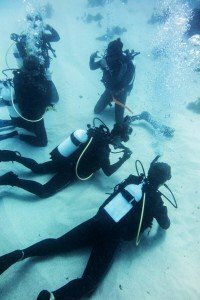 The below listed prices are all included (with all equipment, theory supports such as video, a PADI experienced instructor, and all other costs).